1A Express Hotel, located in Cagayan de Oro City, south of the Philippines was previously not safe from flooding. Protecting a hotel from devastating events such as flooding is crucial, since it provides a second home to those staying out of town. Before it was equipped with RS Demountable Flood Barriers, 1A Express Hotel has always been a victim of flash floods brought by the country’s erratic wet season. 1A Express Hotel is located in Cagayan de Oro City, popularly known to tourists and locals as CDO. The said city is part of Misamis Oriental, one of the prime provinces in Mindanao, the southernmost region of the Philippines. Located on one of the city’s busiest streets, the hotel is the latest destination in CDO. It sits near shopping centers like the Centrio Ayala, Gaisano City Mall, and the soon-to-rise SM Cagayan de Oro. Although the whole region of Mindanao is not prone to strong typhoon or to flooding, the changes in global temperature is bringing an unexpected increase in rainfall. The monsoon rains usually do not reach this area, as it is located farther down south. However, other weather systems at work can bring rains. Due to the worsening of climate change, these rains can intensify to the point of flooding parts of the city. Every January, the Intertropical Convergence Zone (ITCZ) brings heavy rains on some portions of Mindanao region. 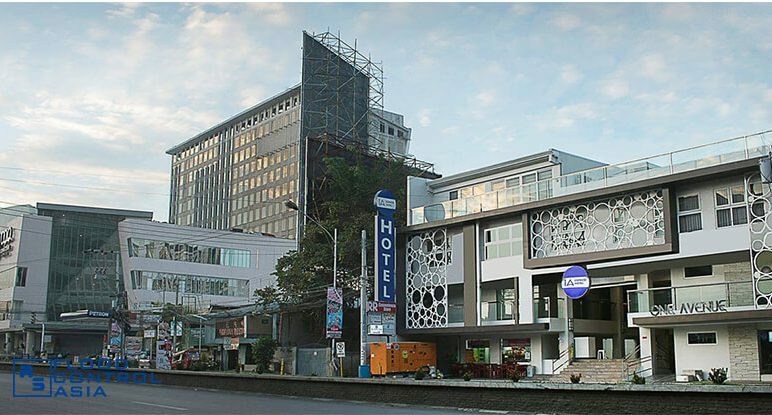 The ensuing flash flood always affected 1A Express Hotel, bringing damage to facilities and halting the hotel’s operation. As with any busy urban centers in third-world countries, the drainage system built near the hotel could not efficiently redirect floodwater. Also, the Cagayan River has a tendency to overflow, especially when rainwater rushes down from a nearby mountain range. The heavy rains and the inefficiency of drainage facilities brought knee-deep water into the hotel lobby. A laundromat built beside the hotel was also not exempted from flooding. Inside the hotel, the carpets were soaked with floodwater, and official documents were likewise doused. The aftermath of this flooding was like a scene taken from disaster movies. Thick muck brought by the floodwater covered the whole hotel lobby. 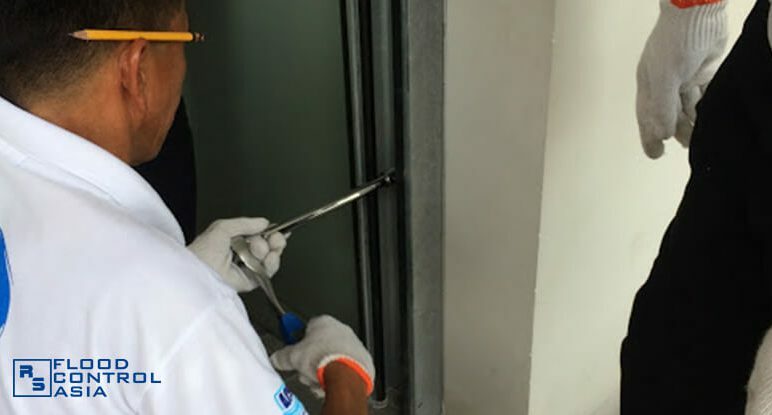 Thus, the hotel owner was forced to shut down 1A Express Hotel for a while in order to restore the facilities damaged by flood. Two laundromat machines and a power generator were probably the most expensive sets of equipments that were damaged. On top of these high-cost damages were the expenses for the construction of a four-feet staircase. 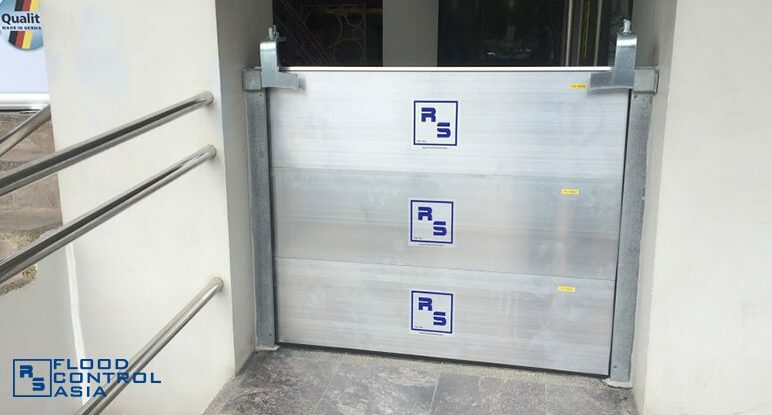 The hotel owner opted to elevate the hotel’s main entrance as a proactive solution to future flooding incidents. Ms. Cheryl Wee Eng, the hotel owner, first planned to use sandbags to protect her business from flooding. 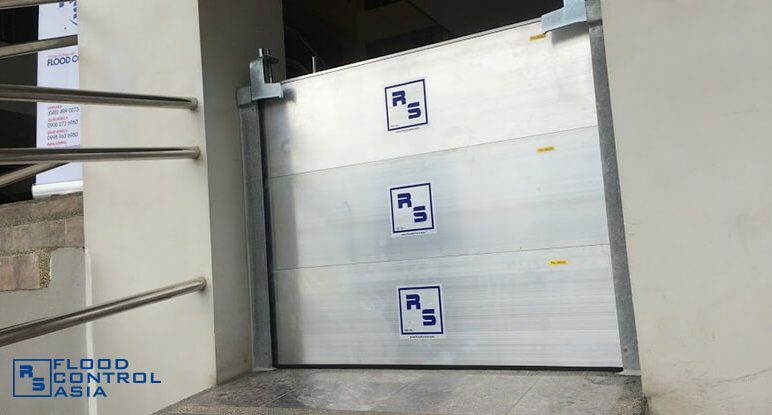 Realizing that this conventional method would not yield excellent results, she turned to Flood Control Asia RS Corporation (FCA) with its proven German flood control technology. While reaching out to FCA, Ms. Weng came up with permanent solutions against flooding. The hotel’s secondary entrance was closed down, while the main entrance was elevated via four-feet staircase. However, the entrance for people with disabilities (PWD) could not be elevated as it would result to a steep ramp. 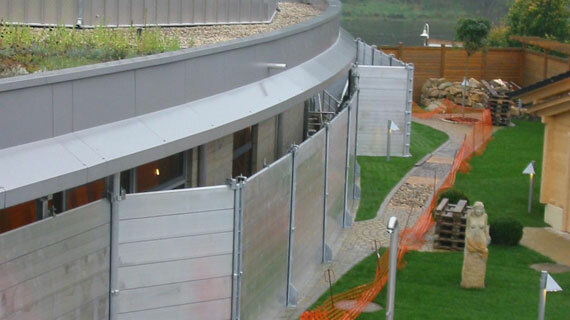 The RS Demountable Barriers became the best alternative to protect this PWD entrance from flooding. 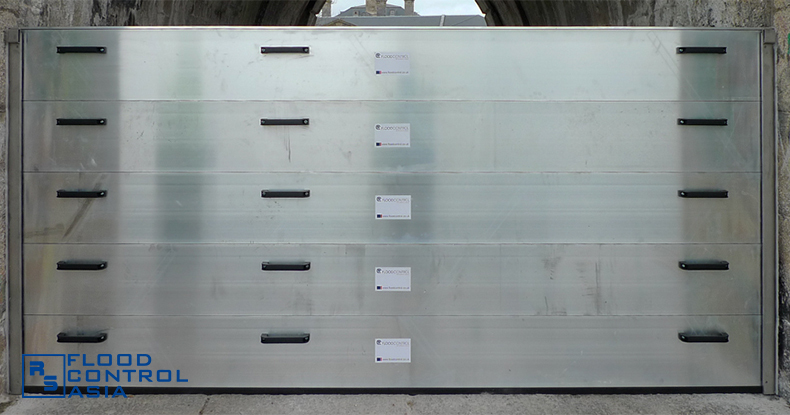 Flood barriers with a height of 0.90 meters were installed in the hotel to serve or to protect, the PWD ramp. 1A Express Hotel is one of the latest hotels in Cagayan de Oro City. It is located on one of the city’s busiest streets, and is close to various shopping destinations. Until end of 2017, the hotel was frequently flooded, due to the effects of Intertropical Convergence Zone (ITCZ), overflowing of the Cagayan de Oro River, and the vicinity’s poor drainage systems. The flood reached the hotel’s reception area and soaked its carpets. Two laundromat machines, located beside the main hotel building, were damaged due to flooding. A power generator was rendered useless after it was submerged in floodwater. 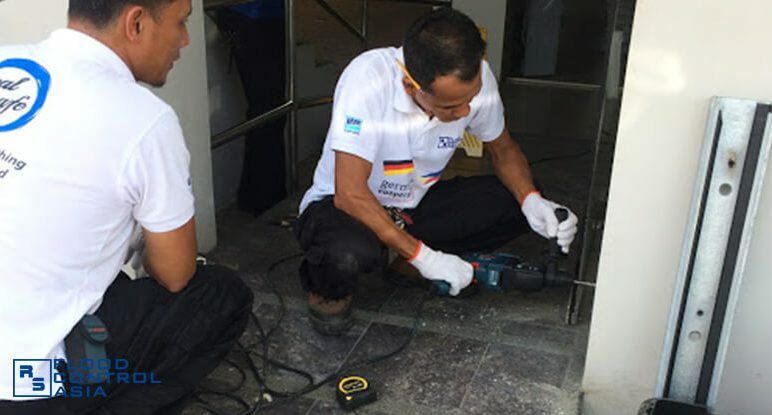 Sets of office equipment that were located on the hotel’s reception area were also damaged. Thick muck covered the whole reception area. The hotel was shut down while the rehabilitation works were going on. 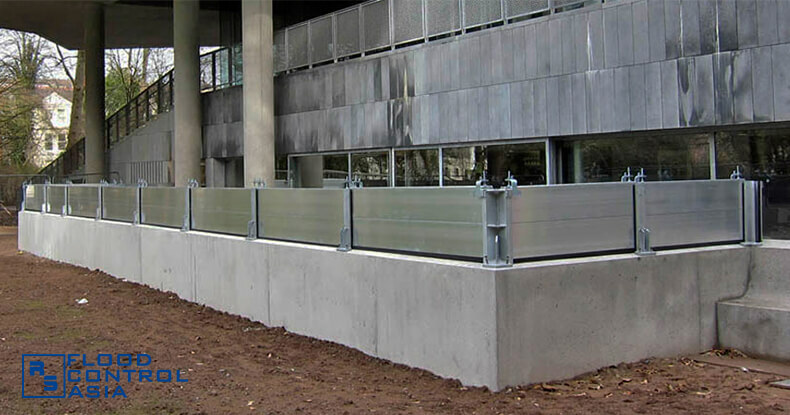 The PWD ramp, the structure of which cannot be altered, was installed with RS Demountable Barriers. This provided total protection for the only part of the hotel that cannot be elevated. It also allowed unhampered access to the PWD ramp when there is no flooding. The whole hotel finally became flood-free due to alterations in the building’s structure. The secondary entrance was closed, while the main entrance was elevated via addition of a four-feet staircase. 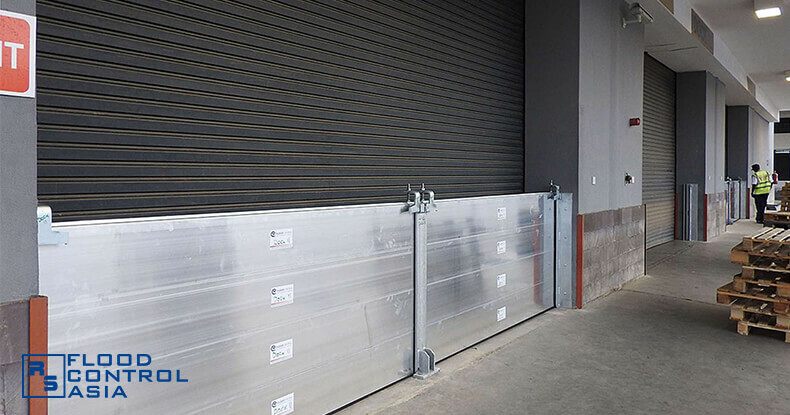 As for the PWD ramp, a 0.90-meter high flood barrier was installed. It was the best alternative, since the PWD could not be elevated; otherwise, the elevation would result to an overly steep ramp. 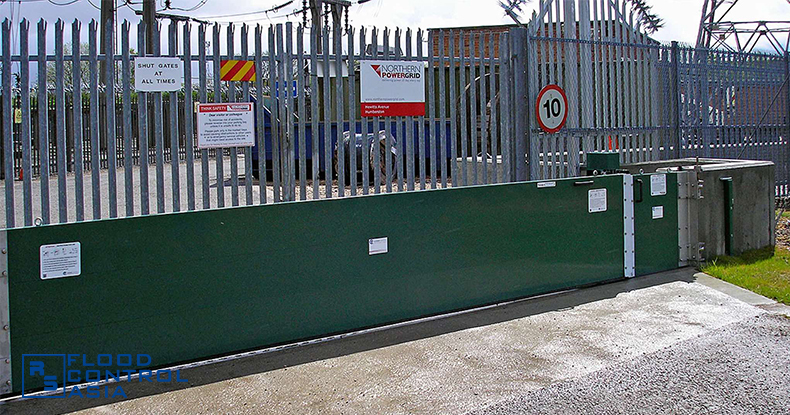 The PWD ramp also needed an unhampered access, so the installation of a removable barrier was just perfect.